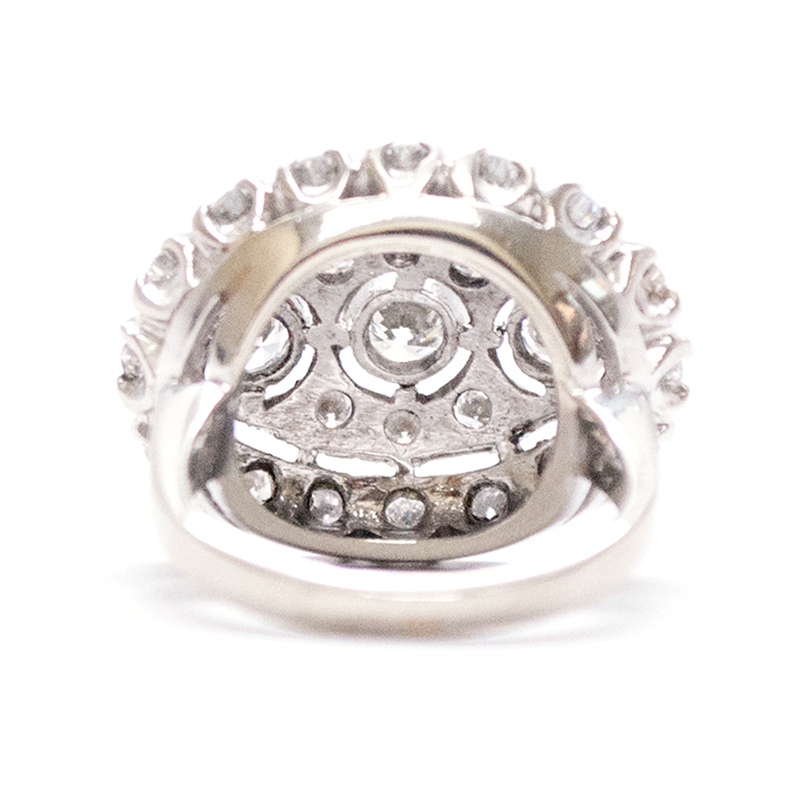 One 14K white gold lady's combination cast & assembled diamond dinner ring with a 2.6mm half round shank with a bright polished finish. 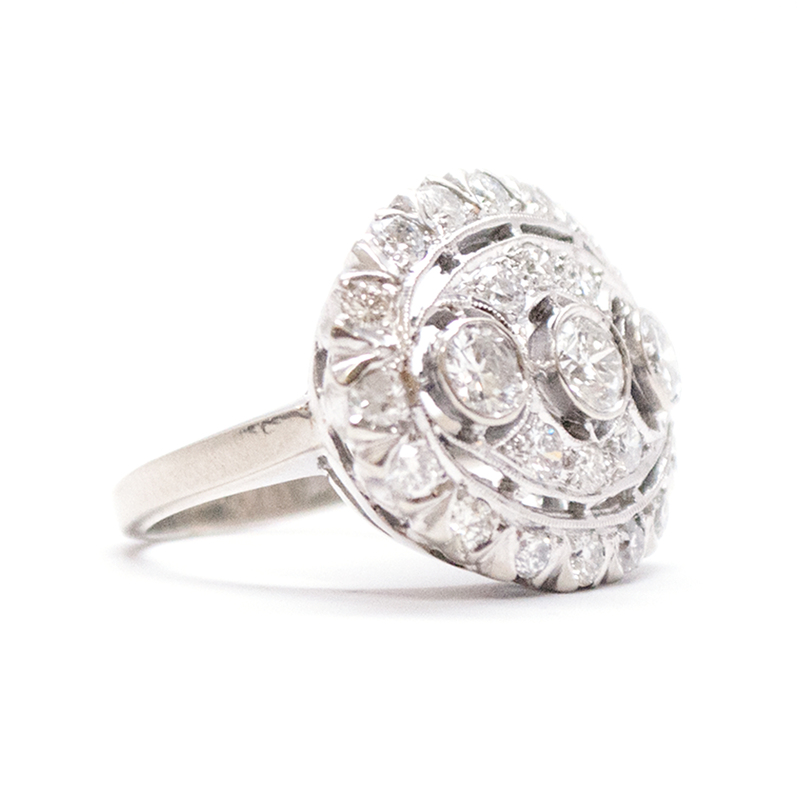 This Art Deco ring highlights three, bezel set round brilliant cut diamonds set horizontal across the pierced oval top of the ring. 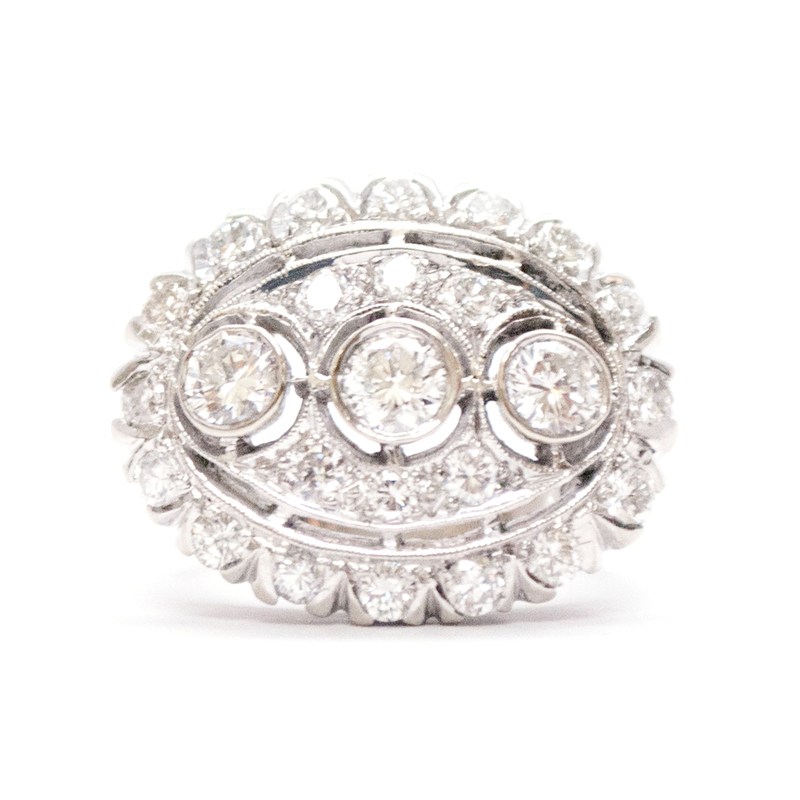 Set along each top and bottom side of the row of three diamonds are three smaller bead set round brilliant cut diamonds. 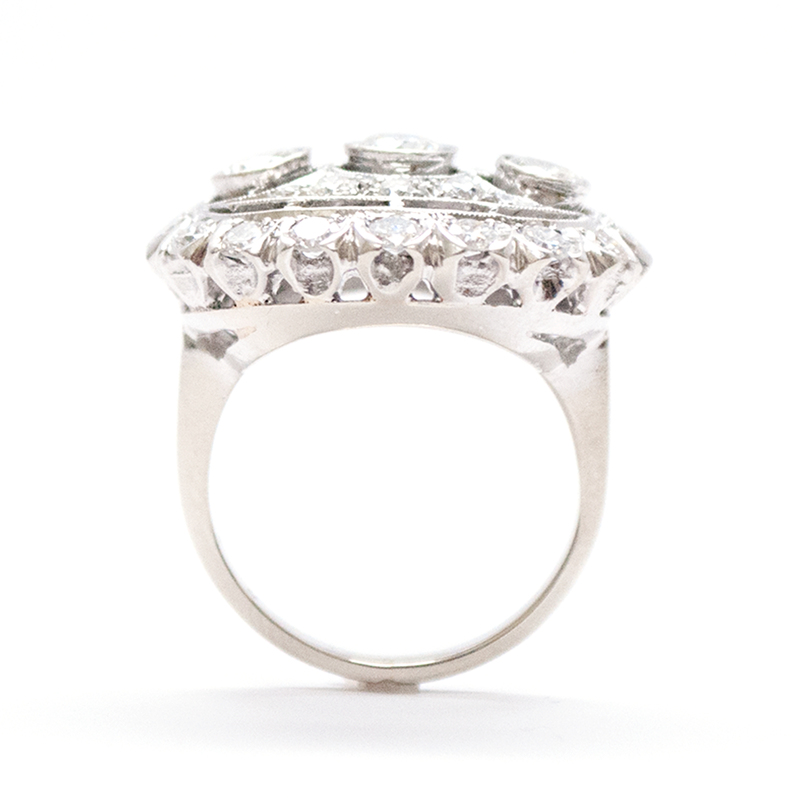 The outer edge of the top of the ring is encircled with sixteen half bezel set round brilliant cut diamonds in fishtail setting. Fine milgraining accents the ring.